I've gotten my Pup into walking him every morning when we wake up. I let him out in the morning to do his business and i have to keep a very close eye on him now since he's proved to be an escape artist in the past couple weeks. New York's winters are brutal, and i'm not sure if anyone on this form is from the big apple. Well my main concern would be is it ok to take him out on a walk in single digit weather? If not how can i give him the exercise he needs without him getting bored. I live in NJ right outside Manhattan. I got my lil guy in the dead of winter and we went out. Not a problem. My $.02. no refunds. I live in Westchester and we also frequent the Adirondack Mts, Blitz prefers to be outside when it's freezing even when he was a puppy. @karinaangeles-I live in Washington, DC and my Quakey loves the cold. The first winter he came to live with me I bought him a coat but he did not like wearing it. Last winter it was very cold and he loved taking long walks with me. He seems very happy when it's cold outside. 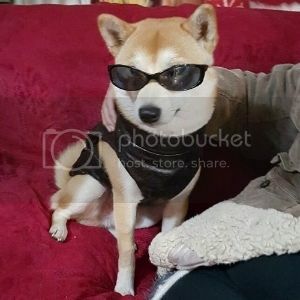 @karinaangeles - Lots of great threads on cold weather and Shibas for you to browse through. Here are a couple to get you started. Just please remember to search the forum for existing threads before starting a new one. Thanks!